Leaders influence followers within all areas of life including business, leisure, and recreational activities. Within the youth soccer world; soccer coaches, directors and organizations provide leadership and the knowledge of how to become a better soccer player. The knowledge, level, and ability of the organization and coach directly influence the passion and skill development of the players. Will an improved organizational model featuring better coaches increase the ability to develop players that are trained within the United States and can play at an international level? I believe it will and this is how I believe it should happen. A youth soccer organization that is properly organized features a curriculum intentionally based upon technical development and encouraging a passion for participation during the golden years of learning (ages 5 to 12). The coaches all design their lesson plans within the structure of the club curriculum using proven activities that have created passionate and skilled performers in the past. 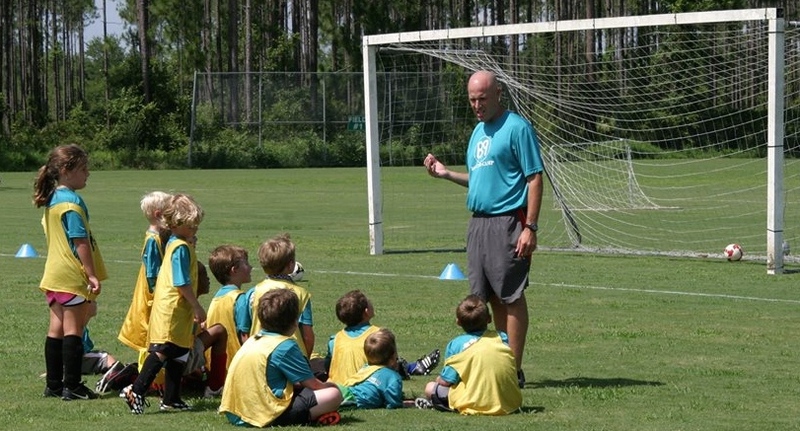 A proven track record of successful player development ensuring that players take ownership during training sessions and want to practice skills outside of training should be a significant objective within youth soccer development. This initial stage of a common belief within development and how the process occurs performed within an intentional environment of learning and success has the opportunity to create the type of soccer players with abilities to perform at the highest levels. United States Soccer has developed a curriculum overview to use but has not created activities to be inserted into the curricular overview. I guess they hope that the soccer clubs have the knowledge to get the activities correct…hmmm…hasn’t worked out great so far but they are totally OK with picking players that have been developed in other countries….I am not OK with that practice and youth coaches within America should not be either. Player participation dramatically decreases during the middle school years and I personally believe that is the result of coaches of participants under the age of 13 focusing upon the wrong aspects of youth sport. Coaches that focus upon winning and losing and training players through the “laps, lectures, and lines” method will possibly create pre-pubescent soccer team success but will usually not have lasting individual player development success due to the fact that the players do not become passionate over the long term. A developmentally based soccer organization focuses upon creating opportunities for individual development within a team environment. The creation of a successful soccer organization featuring an appropriately developmental curriculum must then be delivered to the individual players and teams by highly skilled coaches. If the participants between the ages of five and twelve are not passionate about participation while developing necessary skills for success, the club will have a limited draw for its 13 and older program eventually limiting the talent pool for the US national soccer team. What is the correct make-up for a soccer coach at this important stage of development? This topic will be featured within the next blog in the Youth Soccer Coaches in the United States blog series. Thanks for reading the blog and I look forward to hearing your thoughts and ideas about the topic. I think that the “win at all costs” culture in youth sports (maybe as a response to the “everyone gets a medal” attitude) leaves a lot of players in the lurch. Great players that just need a little extra coaching and development are getting left behind because they don’t help the team win big now. Jodi – Thanks for reading the post and being part of the EducatedCoaches.com family. Within our philosophy, we believe that players show their greatest level of improvement during training and in free play. If a player is training and in free play 14 hours a week and plays a 1 hour and 30 minute game on the weekend, the improvement happens during the week of training. Games are simply an exercise where our players have the opportunity to “show” what they have learned throughout the training sessions. Players are not left behind because they have the opportunity to train with players at their level during the week. Since the coaching and development generally happens during the week, nobody is left behind from best player to other players on team and passion and development from the players continues to take place. Thank-you for contributing to the blog and I look forward to future comments. Well said Brad, I enjoyed this and look forward to the rest of the series. Thanks for reading John. I look forward to chatting soon!!! Awesome post! The one thing that I kept thinking about while reading this post was that the exact same problems are occurring in youth baseball. The sport system in America is a failed system however most people believe it is working. This is in part due to the lack of knowledge possessed along with the ideology of this is the way it was done when I was young so it must be right. Nobody want to admit that they were wrong. It is a hit to the ego which is demoralizing. Until we can accept the concept of growth through failure, sports in America will never be what they could be. Thanks Matt!!! This is a major problem in all youth sports throughout America. People believe the current system is working because they are happy with the status quo being average…. It is what we have always done and it is what I did so it must be OK…IT IS NOT OK!!! Time to take these youth programs from OK to Great and it starts with groups like us educating the masses about how to make this happen. Words are no longer powerful enough, ACTIONS must take place within major organizations in order for appropriate change to happen!!! Which organization will step up first to promote realistic change to make youth sports better for everybody and no longer just make statements about supporting this and supporting that in an effort to pay the bills…. “Laps, lectures, and lines”. How true this is in many youth sports. Sadly, many youth coaches only care about the immediate or temporary success without a thought going toward development or fun. I can only speak about my observations in baseball, but if you go to a little league game in upstate New York it’s going to be more intense and stressful than game seven of the World Series. The kids are focusing more on not making a mistake than playing the game the best they can and having fun. I have noticed that when a parent is choosing an organization for their child they tend to be more concerned with the prestige of a win/loss record and usually don’t even ask about theory, process, and track record of development. These posts are great and I look forward to some of the suggestions you will be making in developing youth coaches. Keep up the good work guys! Aaron – Great points!!! Are next article assists with what attributes effective coaches have and how to further develop those ideas. It is unfortunate what coaches and parents do to their kids that only focus on winning and losing instead of development and fun. I am so excited you are on our side and can make the necessary changes in baseball with your following that I am hoping to make in soccer. All youth sport participants deserve a positive experience and we are the change agents that can make this happen!! !